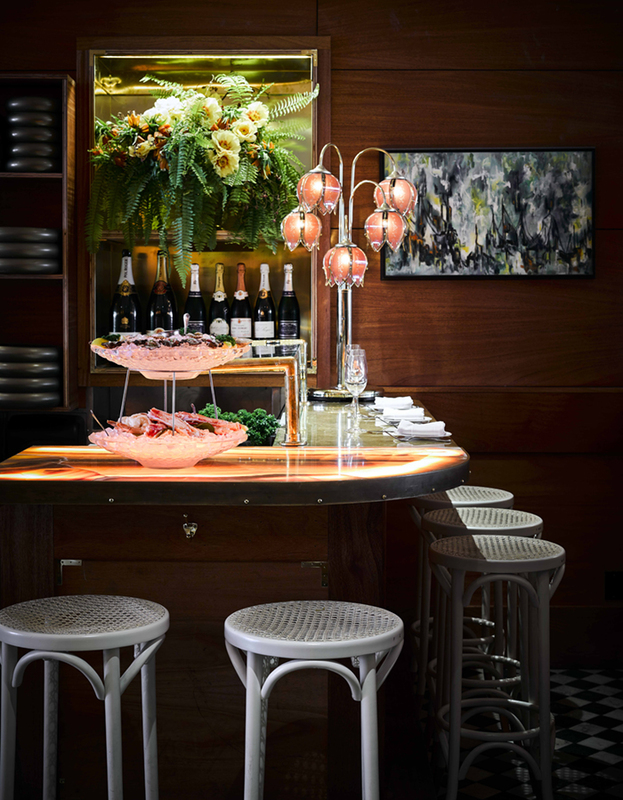 Most oyster bars have a simple look; one that compliments their predominantly seafood menus and servings. Well, this statement is only true until you set foot inside Leo’s, the premier oyster bar in San Francisco. 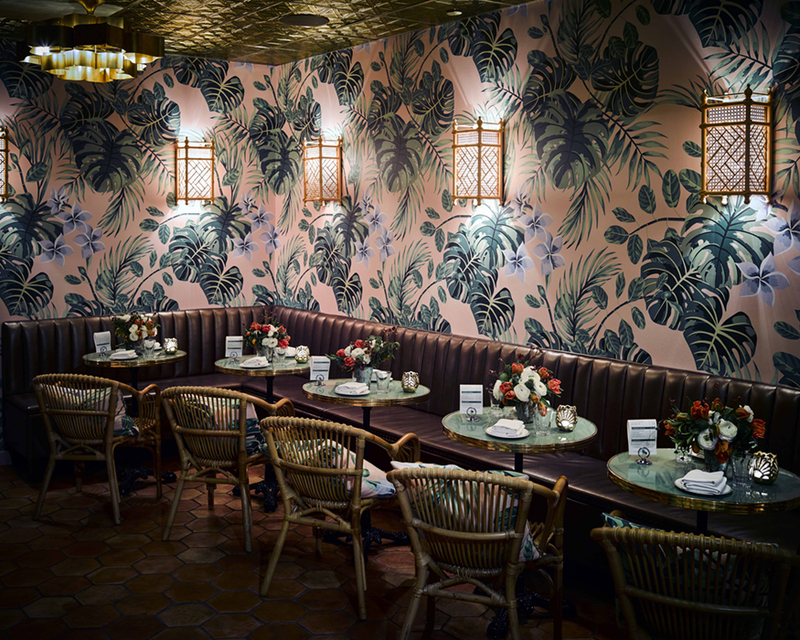 The décor inside this soon-to-be-a-foodie-hit is a combination of the glitz of Manhattan and the yesteryears Beverly Hills. 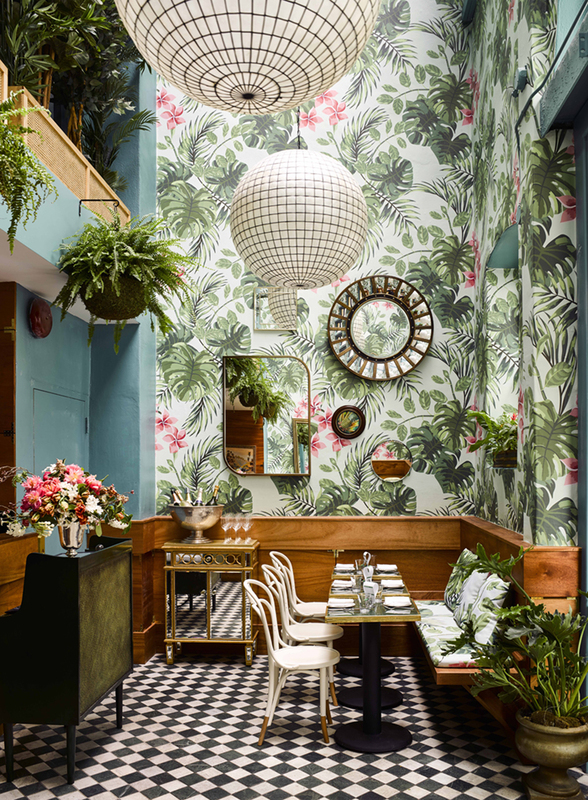 A creation of leading San Francisco designer, Ken Fulk and Jon de la Cruz, an equally talented San Francisco interior architect, Leo’s is stunning in so many ways. 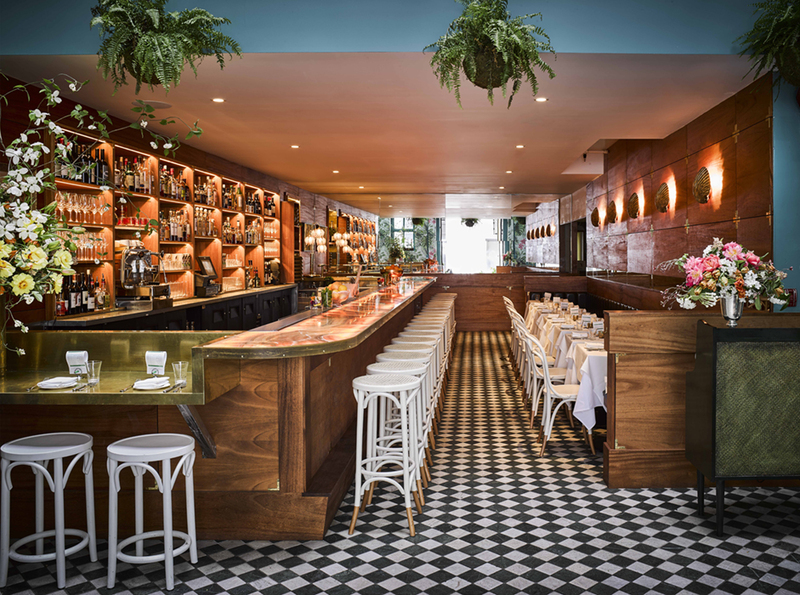 The dining room floor features gleaming black and white tiles that give way to the pink onyx bar and an aptly decorated banquet that looks resplendent in vintage seashell sconces. 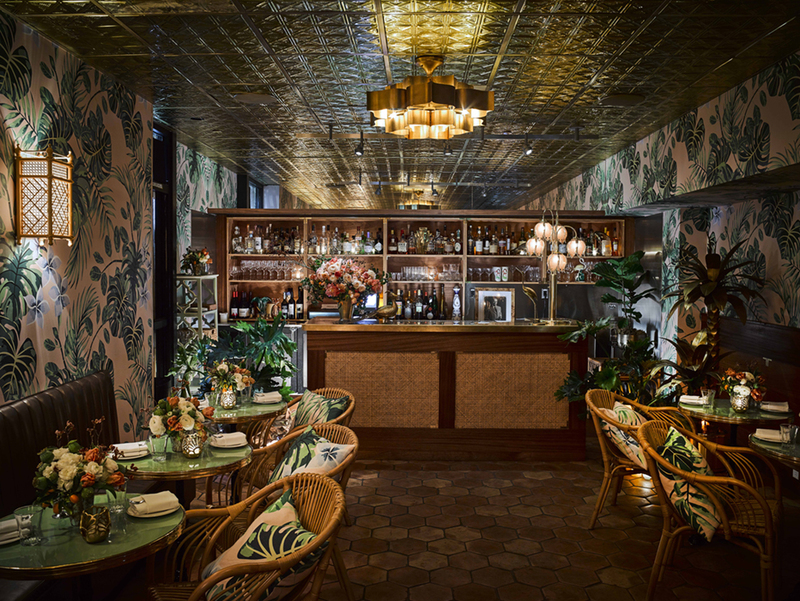 The interior uses a combination of brass light fixtures and rattan furnishings all enhanced by the bespoke botanical wallpaper to bring out the exuberant style that is characteristically Fulk. Indeed, the wallpaper alone creates a nostalgic feel that is elegant but deceptively frayed in a very good way. 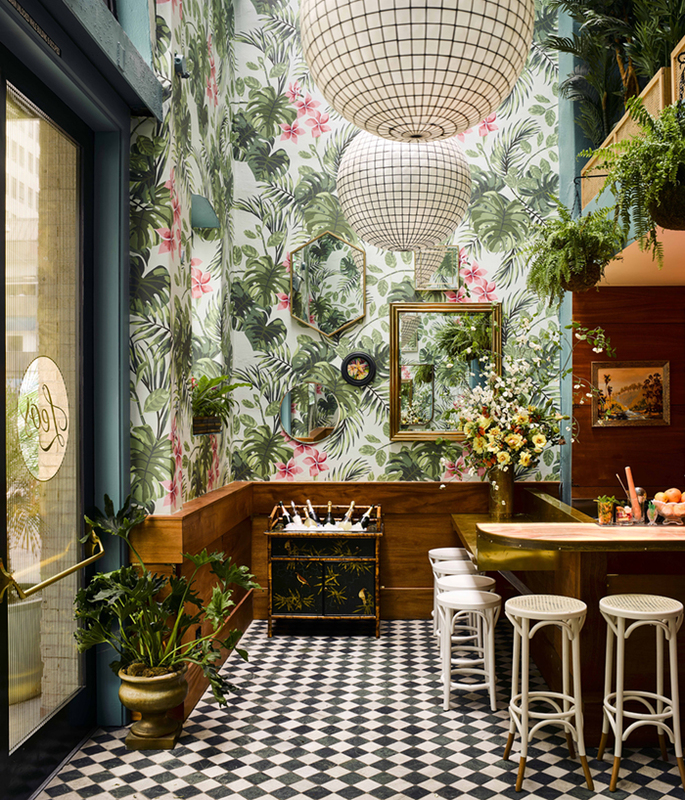 Ken Fulk and his partner’s brilliance are very evident in their obvious desire to compliment the wallpaper design with the fabric used on the furniture. The dining chairs thus, create a feeling of continuation that spreads all the way from the walls to the elegantly appointed dining spaces. The result is an interior that is strikingly masculine but with the right amount of feminine tones and tension. 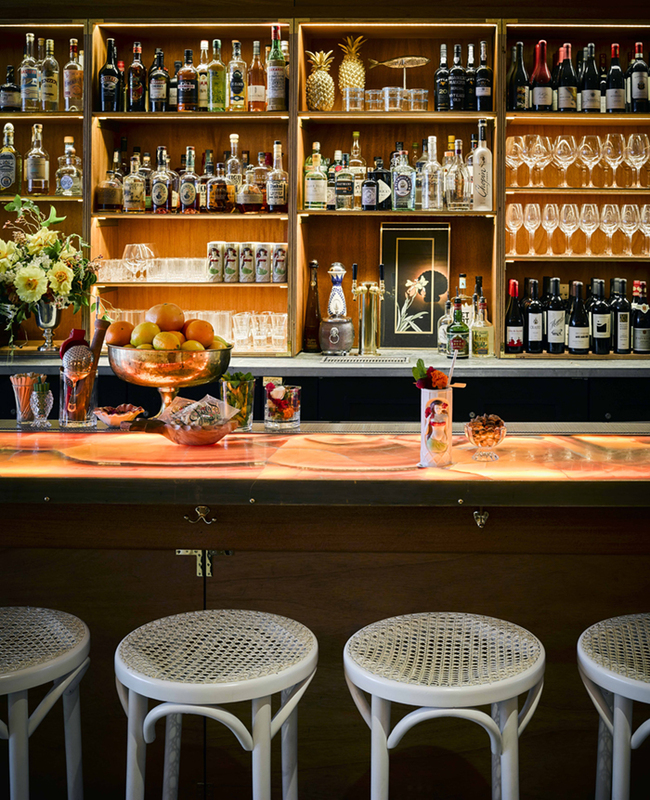 The back houses the Hideaway Lounge, which has a dim lighting ambiance that is perfect for after-work libations. This space and the courtyard ahead have a great scheme that features terra cotta tiles on the floor and metallic leather banquettes. 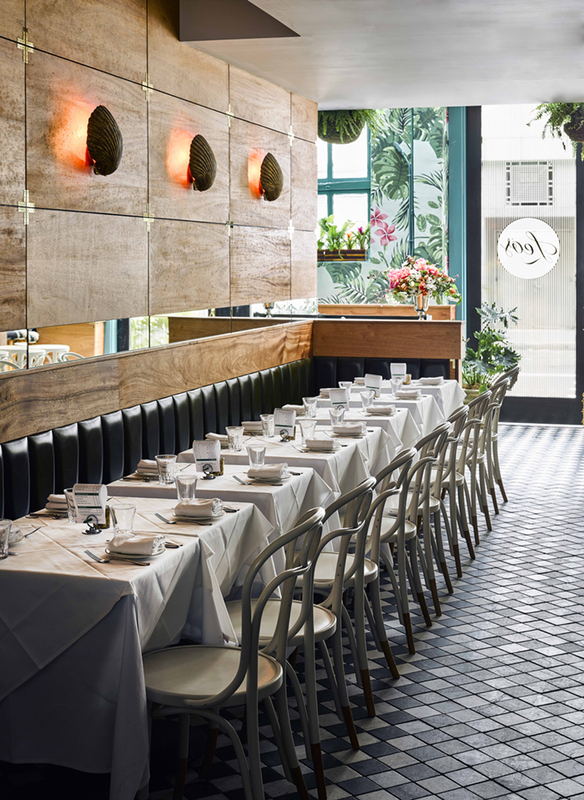 The choice of furniture, from the minimalist bar stools lined along the pink onyx bar to the easy diner chairs on the many banquettes, all speak of a search for comfort that is both a reflection of the aged, yet oozing a refreshing vibe that is so modern. Nice post. Pictures are eye catching. Interior is must for any commercial setup. Attractive ambiance geta a more footfalls. Thanks for sharing!